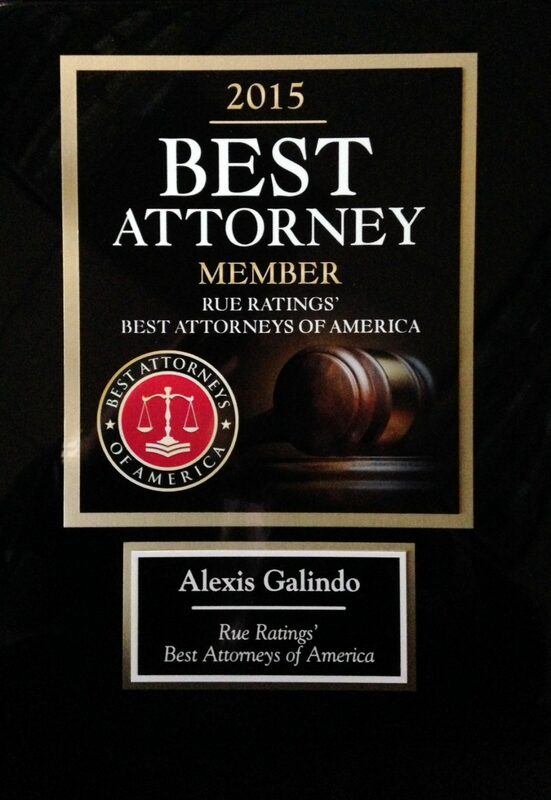 The Law Offices of Curd, Galindo & Smith, LLP is proud to announce the selection of Attorney Alexis Galindo as a Member of Rue Ratings’ Best Attorneys of America. This honor is awarded to less than one percent of all attorneys in the United States and was published in the January 2015 issue of the American Bar Association Journal. Attorney Galindo is not only recognized for his extraordinary skill in the field of personal injury and civil rights law with this honor, but is now able to access the practices and procedures used by the top attorneys nationwide. What is Rue Ratings’ Best Attorneys of America? 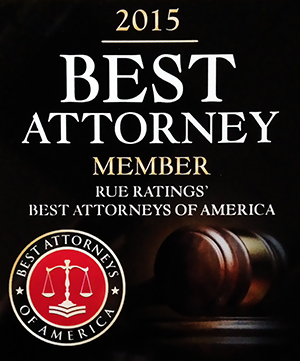 Rue Ratings’ Best Attorneys of America is a group of the top attorneys in America. To be selected for membership into this group, a lawyer must be endorsed by an existing Lifetime Charter member, nominated by a member of the Bar or the public, or chosen from an independent research team. Once nominated, an attorney peer review will examine the lawyer’s accomplishments and qualifications for membership. Only those meeting these rigorous standards are invited to join, with membership capped at 100 members for most states. Once an attorney has been shown to hold themselves and their practice to these standards, they will receive a personal invitation to join. 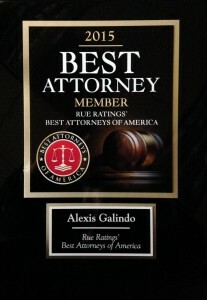 With so few attorneys receiving this accolade, those boasting a Rue Ratings’ Best Attorneys of America Member award are truly seen as the best of the best.